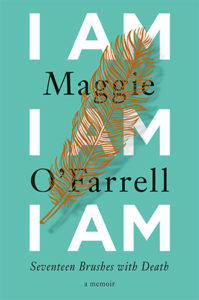 O’Farrell’s unusual and indelible memoir is told through 17 brushes with death, mainly her own but also those of the people closest to her, especially her children. There’s her childhood illness, which left her bedridden for a year. 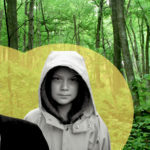 There’s a scary encounter with a man on a deserted path when she was a teenager. There’s a near drowning, so visceral in its description you can practically taste the saltwater. Then, most heartbreakingly, there’s her battle to protect her daughter, who suffers from several serious conditions, such as severe allergies; a whiff of nuts can send her to the hospital for urgent care. The remarkable thing about O’Farrell’s book is the dexterity she demonstrates in writing not only about death, but about the constant fragility of life. 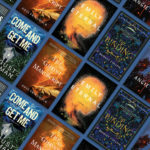 Some writers find a milieu or a setting that works for them and dedicate themselves to exploring every facet of it, while others—think Ali Smith, think Rupert Thomson—constantly reinvent themselves from book to book. 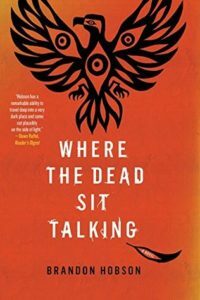 With the release of his third novel, Where the Dead Sit Talking, I think it’s pretty safe to add Brandon Hobson’s name to the latter group. 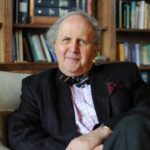 The familial conflicts of Deep Vellum and the weird urban spaces and cinematic conspiracies of Desolation of Avenues Untold both suggested his range. In telling the tale of a troubled Cherokee teenager in his new novel, Hobson reveals new facets of himself as a writer, and expands the ground he’s covered considerably. 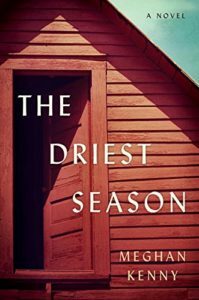 As a fan of historical fiction who hails from the Midwest, I was thrilled to discover The Driest Season by Meghan Kenny, set in Wisconsin during World War II. While her community grapples with the effects of the war, teenage Cielle deals with a more personal tragedy: the death of her father. 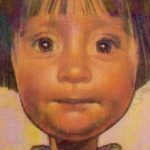 That death unleashes a vortex of questions for Cielle about who her father really was and how to make sense of the revelations that follow. Gritty, smart, and deeply moving, The Driest Season is Kenny’s debut, but it reads like the work of a seasoned writer at the top of her game. 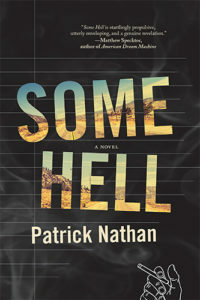 Patrick Nathan’s orphic and original debut novel, Some Hell, traces the contours of tragedy’s aftermath. 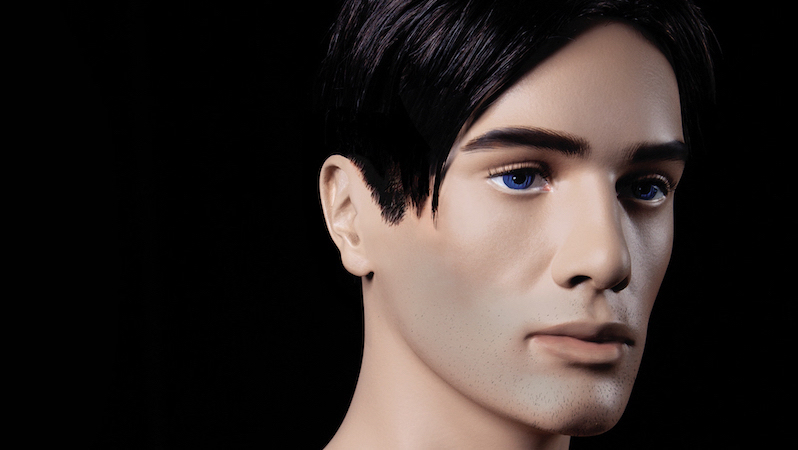 Colin, the teenage protagonist, blames himself for his father’s suicide. He finds a cold kind of comfort in the notebooks his father left behind. The frenzied musings that fill these pages become the Virgil to Colin’s Dante as they draw him deeper into his own infernal imagination while he grapples with his dissolving family life and his own emerging sexuality. 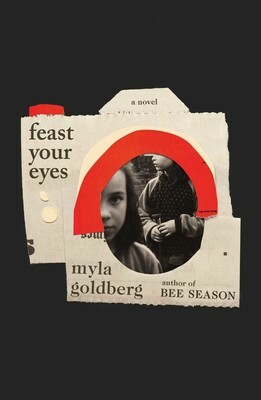 Each sentence of this dark Bildungsroman—obsessed with the intertwined logics of desire, disaster, and death—kept me enthralled. The cumulative effect left me unsettled for days. 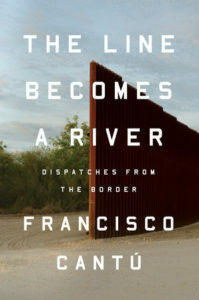 Francisco Cantú’s nonfiction account of his work as a US Border Patrol agent promises to be a Lodestar in our understanding of who crosses the border and who guards it. Cantú negotiates his own crossings as well: as an international relations major who descends into the world of armed law enforcement; as the grandson of Mexican immigrants; as a compassionate man who looks into the eyes of men and women he processes for deportation. 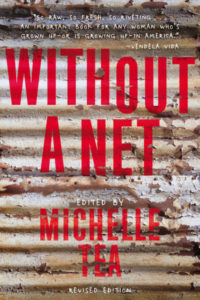 This work may determine for future generations what building a wall does to magnify the heartache of plight and flight, of people moving between nation and nationality, of people disenfranchised and unmoored, defined by their landscape and the arbitrary lines of a map, without the agency to define it themselves. 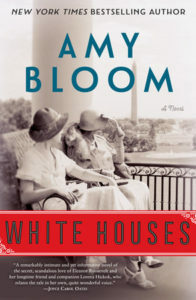 Amy Bloom’s new novel, White Houses, is about First Lady Eleanor Roosevelt’s “intimate friendship” with her speechwriter Lorena Hickok (“Hick”). 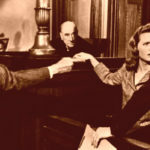 Told from Hick’s perspective, not only do the euphemistic gloves come off—this was a full-blown and grown-up affair—but we see the cost any man or woman pays when their love lives in The White House. 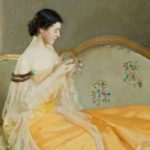 Bloom writes about female sexuality with great honesty and beauty, and yet also gives careful attention to Hick’s difficult childhood and rise to Washington, DC power circles. This may just be a masterpiece. 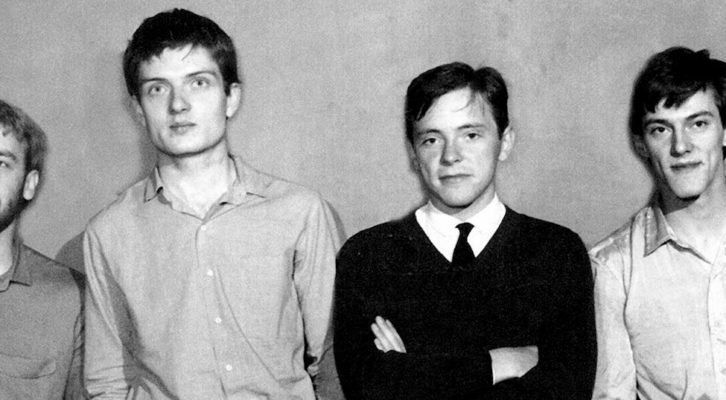 Empty Set is a story about trying to make sense of the recurrence of loss through logic. Verónica Gerber Bicecci is a visual artist from Mexico City who uses charts and drawings throughout her prose. 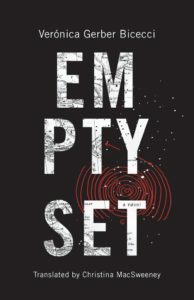 “There are things, I’m sure,” she writes, “that can’t be told in words.” Empty Set is a visceral and lucid story and also an art object. 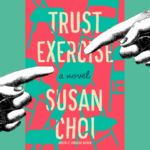 Like other work translated by Christina MacSweeney—from writers like Valeria Luiselli, Elvira Navarro, and Julián Herbert—it’s radical and compulsively readable. 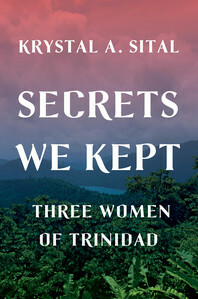 It is telling that Krystal Sital, within the first lines of her memoir, writes, “… to settle after abandoning home.” A powerfully emotive, yet agonizingly restless, statement. Abandonment, abuse, patriarchy, walking the often hyper-tense tightrope between cultures and genders, informs so much of this exquisite book—as does the earnest telling of women’s stories. Sital is not exactly unaware that she carries inherited mourning, inherited memory and inherited abuse, but until she asks her mother and grandmother for their stories of her grandfather, she doesn’t fully realize the depth of the pain and suffering that has leached into her being. This is a striking book. And the strength, bravery and sheer will of the women will make you glad you read it. 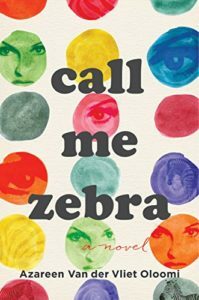 I just started reading Call Me Zebra by Azareen Van der Vliet Oloomi, and I’m loving how zany it is so far. 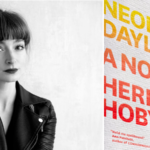 The main character, who names herself Zebra, is born in Iran into the bookish but “ill-fated” Hosseini family (“We are convinced that ink runs through our veins instead of blood.”), but ends up living in New York City with her father. Zebra doesn’t just consume books; she memorizes them and writes her very own manifesto, proclaiming that she is “the embodiment of literature.” When her father dies, Zebra decides to set off on a “Grand Tour of Exile” “by retracing our jerky, incoherent journey across the Mediterranean, street by street, in a backward manner.” This is a miss your stop on the subway and ignore your to-do list kind of book. Brenda Hillman may not be our most underrated poet, but she is certainly one I wish more people read, because to read her is to enter a poetry that bristles and shifts with life. 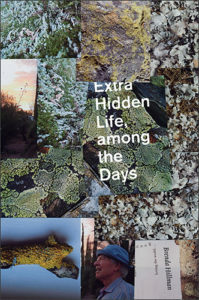 Her keen attention to the natural world and our place within it, coupled with her devotion to formal innovation and commitment to confronting injustice, are reasons Extra Hidden Life, among the Days is one of the collections I’m most looking forward to this year. 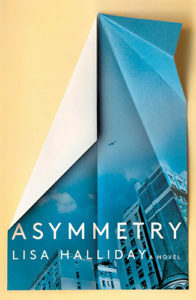 Asymmetry is a novel in three parts: An affair between a publishing assistant in New York and a much older and famous writer; the story of an American-Iraqi main detained in Heathrow airport; and a fictional Desert Island Discs interview with said writer. The three blend together and interweave to form a moving and unputdownable read about love, art and power. At the start, you might suspect you’ve read this book before; at the end, you will think nothing of the sort. This is a really exciting debut from Halliday, who won the Whiting Award with it prior to publication. In Overstreet’s first stylish tale of espionage, a recent engineering grad recruited by the FBI to spy on Marcus Garvey instead informs on both the FBI and Garvey for W.E.B du Bois. 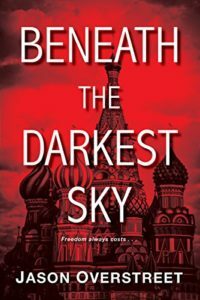 In this sequel, set over a decade later, the same engineer (operating under a new name) takes his family to Moscow to work as a technical advisor in Stalinist Russia, only to become embroiled in the self-destructive purges and diplomatic intrigue of the 1930s. 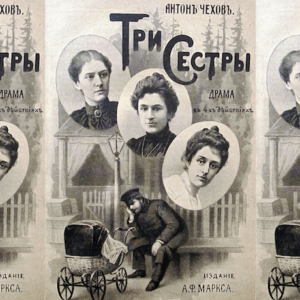 This suspenseful tale of loyalty and betrayal also pays homage to the vibrant, yet oft-overlooked, African-American ex-pat communities in the USSR. 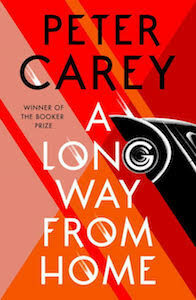 I’m pretty damn excited to read two-time Booker Prize-winner Peter Carey’s new novel, A Long Way Home, which is being heralded as his best in years. Set in 1950s Australia, it uses the stories of a light skinned indigenous man who has been brought up white, a diminutive husband and wife car racing duo, and the infamous Redex Trial—a grueling 10,000 mile race across the continent—to interrogate Australia’s history of racism. I always enjoy road trip narratives through unforgiving terrain, but Carey’s talent for creating eccentric adventurers and ability to paint the Australian landscape in such vivid hues, as well as a powerful recent statement on the impetus for the novel (“You can’t be a white Australian writer and spend your whole life ignoring the greatest, most important aspect of our history, and that is that we—I—have been the beneficiaries of a genocide.”) makes this one especially intriguing. 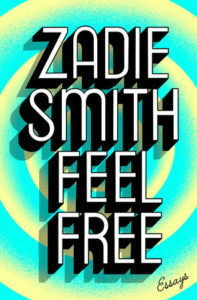 Though she’s widely beloved for her novels, Zadie Smith is even more valuable for her essays, 31 of which are collected here and organized into five sections: In the World, In the Audience, In the Gallery, On the Bookshelf, and Feel Free. 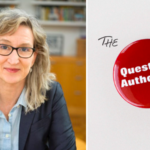 As you might expect from these headings, the essays are wide-ranging—they concern books, art, identity, race, culture, technology Smith’s own life and family, etc.—but Smith’s best trick is how often she manages to achieve the delicate balance between critical acuity and compelling interiority. 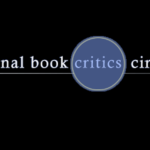 Plus, while the essays in this collection are not entirely uncontroversial (see “Getting In and Out”), they were mostly written pre-Trump, which in our current constant churn of thinkpieces is something of a relief. 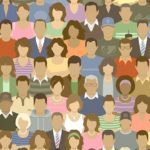 The times across the world are a-changin’ back to hatreds it seemed were once banished from institutions. Hindu nationalism is sweeping through India, putting even the country’s judiciary at risk. The KKK has been marching in broad daylight. We all knew white nationalism existed, but at the White House? A new cold war has been unleashed via the internet between governments aligned with Russia and those which are not. Who knows if this includes our own? And last fall in Gothenburg Nazis marched through Sweden’s second largest city during Yom Kippur. 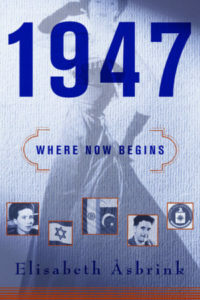 In this remarkable work of reportage by Elisabeth Åsbrink, Sweden’s premiere literary historian assembles a compelling collage of events from Budapest, Chicago, Paris, Stockolm, Palestine and elsewhere, suggesting in their weave that there was a tipping point in modern history in the year 1947: a year during which the DNA of our modern moment, with its technological fascism and neo-fascism, was seeded to ground. 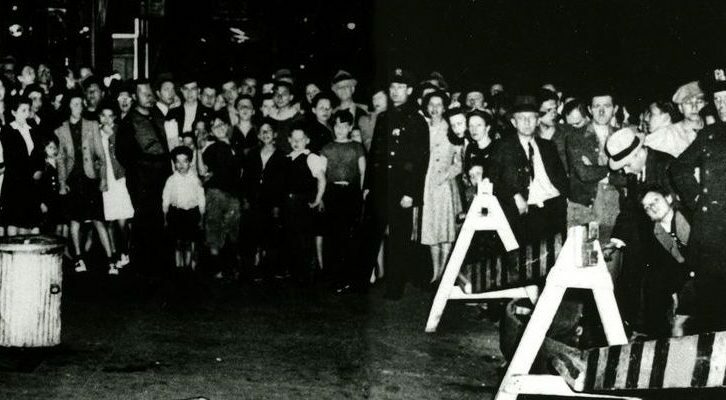 It is a fun book to read in a grim way—Nelson Algren and Eleanor Roosevelt and other figures appear and submerge as the dart of Åsbrink’s attention swerves from one time zone to the next, building a portrait of the assembly of simultaneity. “Time is asymmetric,” Asbrink concludes at the end of this bracing tour of violence, “it flows from order to disorder and cannot be reversed.” One hopes on this one uncharacteristic bit of opining she is wrong and that we can find a new kind of clock to mark our days. Alejandro Luque has figured out the best way to travel: retrace the steps of a literary genius based on old photographs of his journey through a beautiful place. 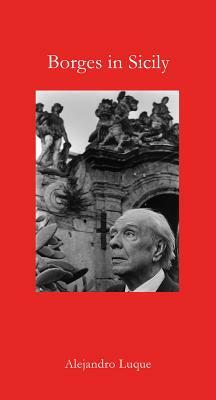 Part bookish travelogue, part memoir of discovery, Luque’s search for Borges’ Sicily reveals more than the writer himself could have expected.